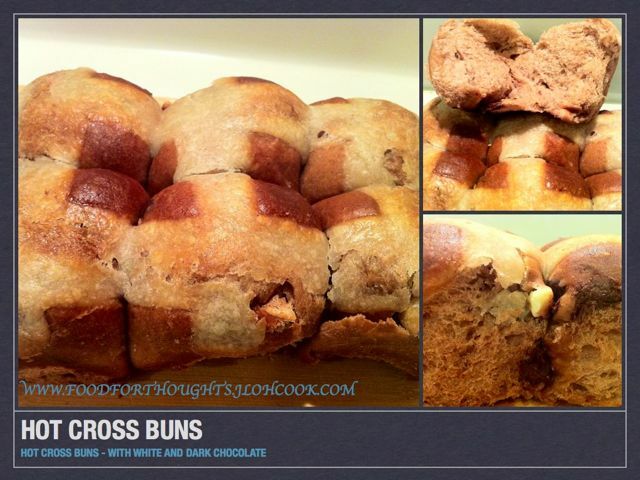 Here's my version of Hot Cross Buns, adapted from Ananda's Hot Cross Buns recipe , changed it to a chocolate version. made with white and dark chocolates. This was an interesting bake, as I read the recipe wrongly and had to correct it, at least it turned out to something edible and actually a soft bun that rose really nicely.